Rafale Deal: Congress Calls Dassault CEO's Interview "Manufactured Lies"
French aerospace major Dassault Aviation has partnered with Reliance Defence Ltd as one of their offset partners in the Rafale fighter jets deal - which the Congress and its chief Rahul Gandhi have alleged is a marred by "corruption". Asserting that the truth has a way of coming out, the Congress today alleged that "dictated interviews" and "manufactured lies" cannot "suppress the Rafale scam." The nation needs a "fair investigation" and not "doctored explanations" on the fighter jet deal, Congress spokesperson Randeep Surjewala claimed. He was responding to Dassault Aviation CEO Eric Trappier's interview to news agency ANI on the Rafale fighter jet contract. Mr Trappier denied all allegations about the deal and said there was no wrong-doing in the "strategic deal." "'Dictated Interviews and 'manufactured lies' cannot suppress the Rafale Scam. First rule of Law - Mutual Beneficiaries and Co-accused's statements hold no value. Second Rule:-Beneficiaries and accused can't be Judge in their own case. Truth has a way of coming out," Randeep Surjewala alleged in a post on Twitter. 'Dictated Interviews' & 'Manufactured Lies' can not suppress the #Rafale Scam! Mutual Beneficiaries & Co-accused's statements hold no value. Second Rule:-Beneficiaries & Accused can't be Judge in their own case. "Fixed match between BJP Government and Dassault and PR Stunts of PM Modi and Eric Trappier can't hide the blatant corruption," Mr Surjewala alleged. Nation doesn't need 'doctored explanations' but 'fair investigation'! Fixed match between BJP Govt & Dassault and PR Stunts of PM Modi & Eric Trappier can't hide the blatant corruption. 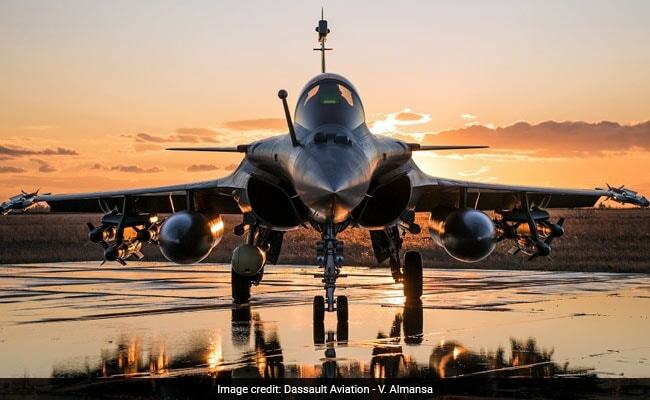 The Centre on Monday informed the Supreme Court that the Defence Procurement Procedure was "completely followed" in the procurement of the 36 jets from France and the deal was subsequently approved by the Cabinet Committee on Security.